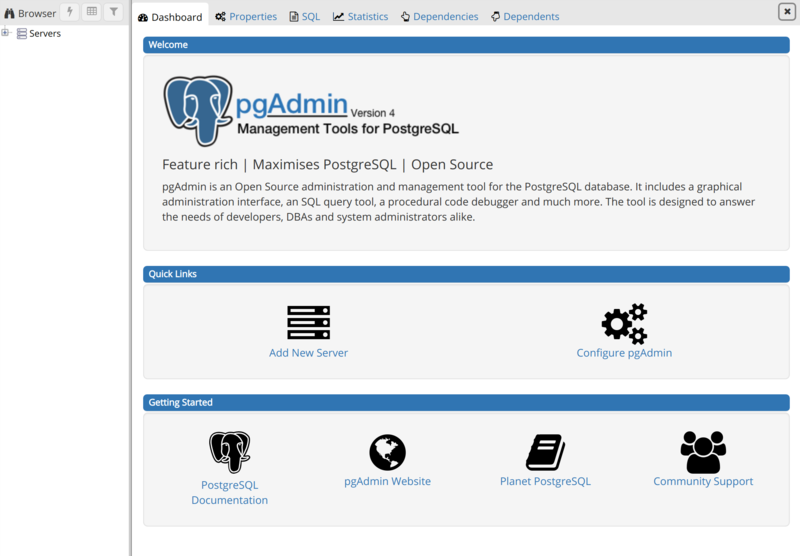 pgAdmin is an open-source administration and development platform for PostgreSQL and its related database management systems. Written in Python and jQuery, it supports all the features found in PostgreSQL. You can use pgAdmin to do everything from writing basic SQL queries to monitoring your databases and configuring advanced database architectures. In this tutorial, we’ll walk through the process of installing and configuring the latest version of pgAdmin onto an Ubuntu 18.04 server, accessing pgAdmin through a web browser, and connecting it to a PostgreSQL database on your server. As of this writing, the most recent version of pgAdmin is pgAdmin 4, while the most recent version available through the official Ubuntu repositories is pgAdmin 3. pgAdmin 3 is no longer supported though, and the project maintainers recommend installing pgAdmin 4. In this step, we will go over the process of installing the latest version of pgAdmin 4 within a virtual environment (as recommended by the project’s development team) and installing its dependencies using apt. That takes care of installing pgAdmin and its dependencies. Before connecting it to your database, though, there are a few changes you’ll need to make to the program’s configuration. 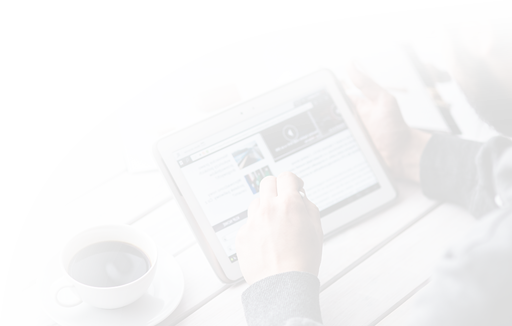 Although pgAdmin has been installed on your server, there are still a few steps you must go through to ensure it has the permissions and configurations needed to allow it to correctly serve the web interface. pgAdmin’s main configuration file, config.py, is read before any other configuration file. Its contents can be used as a reference point for further configuration settings that can be specified in pgAdmin’s other config files, but to avoid unforeseen errors, you should not edit the config.py file itself. We will add some configuration changes to a new file, named config_local.py, which will be read after the primary one. LOG_FILE: this defines the file in which pgAdmin’s logs will be stored. 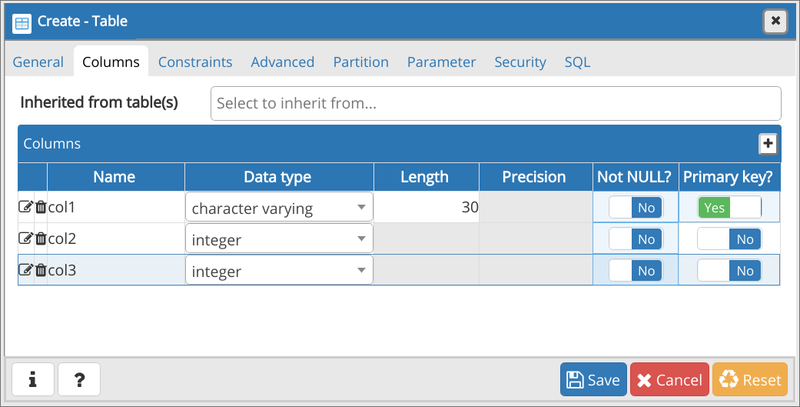 SQLITE_PATH: pgAdmin stores user-related data in an SQLite database, and this directive points the pgAdmin software to this configuration database. Because this file is located under the persistent directory /var/lib/pgadmin4/, your user data will not be lost after you upgrade. SESSION_DB_PATH: specifies which directory will be used to store session data. STORAGE_DIR: defines where pgAdmin will store other data, like backups and security certificates. SERVER_MODE: setting this directive to True tells pgAdmin to run in Server mode, as opposed to Desktop mode. Notice that each of these file paths point to the directories you created in Step 1. With that, pgAdmin is fully configured. However, the program isn't yet being served from your server, so it remains inaccessible. To resolve this, we will configure Apache to serve pgAdmin so you can access its user interface through a web browser. The Apache web server uses virtual hosts to encapsulate configuration details and host more than one domain from a single server. If you followed the prerequisite Apache tutorial, you may have set up an example virtual host file under the name example.com.conf, but in this step we will create a new one from which we can serve the pgAdmin web interface. If your configuration file is all in order, you will see Syntax OK. If you see an error in the output, reopen the pgadmin4.conf file and double check that your IP address and file paths are all correct, then rerun the configtest. pgAdmin is now fully installed and configured. Next, we'll go over how to access pgAdmin from a browser before connecting it to your PostgreSQL database. 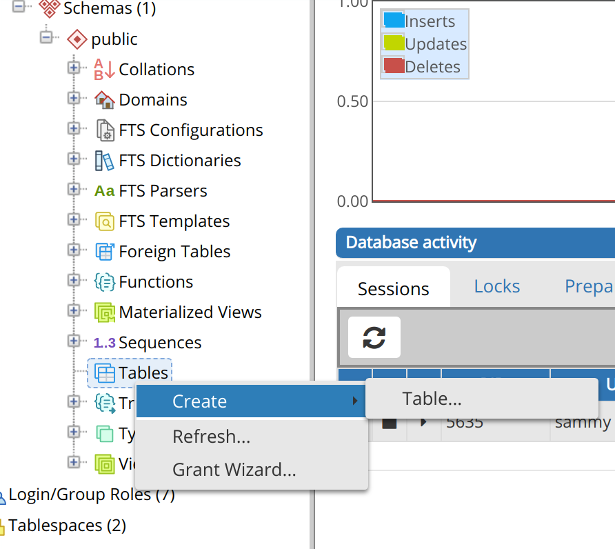 Now that you've confirmed you can access the pgAdmin interface, all that's left to do is to connect pgAdmin to your PostgreSQL database. Before doing so, though, you'll need to make one minor change to your PostgreSQL superuser's configuration. If you followed the prerequisite PostgreSQL tutorial, you should already have PostgreSQL installed on your server with a new superuser role and database set up. By default in PostgreSQL, you authenticate as database users using the "Identification Protocol," or "ident," authentication method. 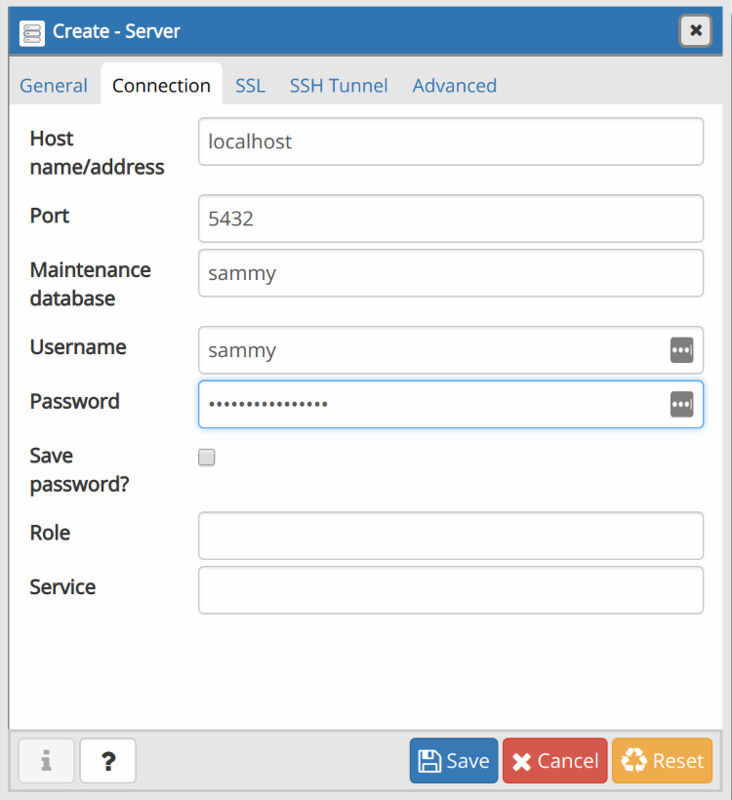 This involves PostgreSQL taking the client's Ubuntu username and using it as the allowed database username. This can allow for greater security in many cases, but it can also cause issues in instances where you'd like an outside program, such as pgAdmin, to connect to one of your databases. 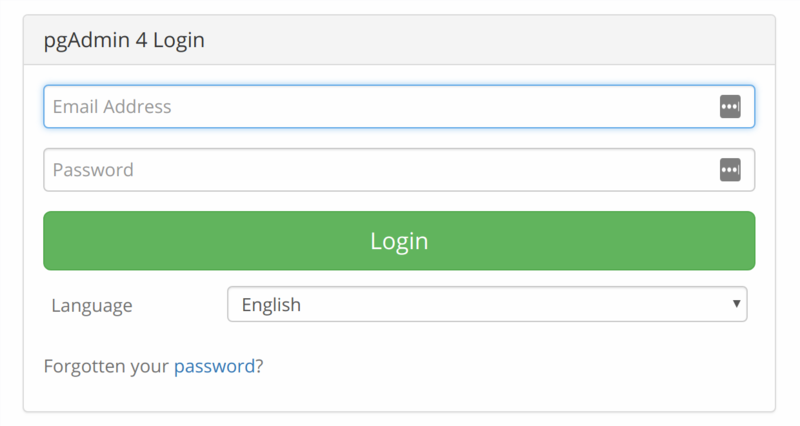 To resolve this, we will set a password for this PostgreSQL role which will allow pgAdmin to connect to your database. Next, go back to the pgAdmin 4 interface in your browser, and locate the Browser menu on the left hand side. Right-click on Servers to open a context menu, hover your mouse over Create, and click Server…. This will cause a window to pop up in your browser in which you'll enter info about your server, role, and database. In the General tab, enter the name for this server. This can be anything you'd like, but you may find it helpful to make it something descriptive. 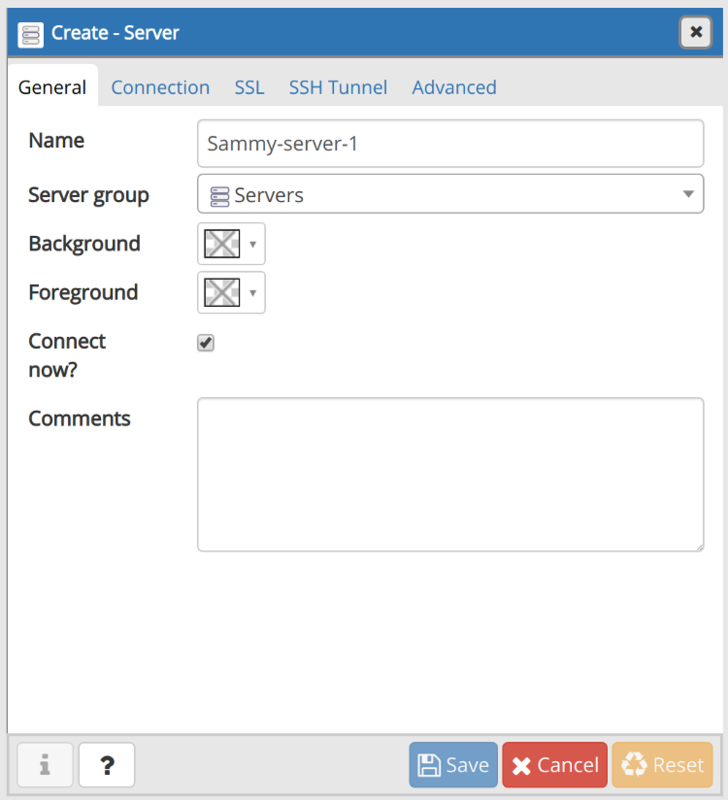 In our example, the server is named Sammy-server-1. Next, click on the Connection tab. In the Host name/address field, enter localhost. The Port should be set to 5432 by default, which will work for this setup, as that's the default port used by PostgreSQL. In the Maintenance database field, enter the name of the database you'd like to connect to. Note that this database must already be created on your server. Then, enter the PostgreSQL username and password you configured previously in the Username and Password fields, respectively. The empty fields in the other tabs are optional, and it's only necessary that you fill them in if you have a specific setup in mind in which they're required. Click the Save button, and the database will appear under the Servers in the Browser menu. You've successfully connected pgAdmin4 to your PostgreSQL database. You can do just about anything from the pgAdmin dashboard that you would from the PostgreSQL prompt. To illustrate this, we will create an example table and populate it with some sample data through the web interface. Right-click the Tables list item, then hover your cursor over Create and click Table…. 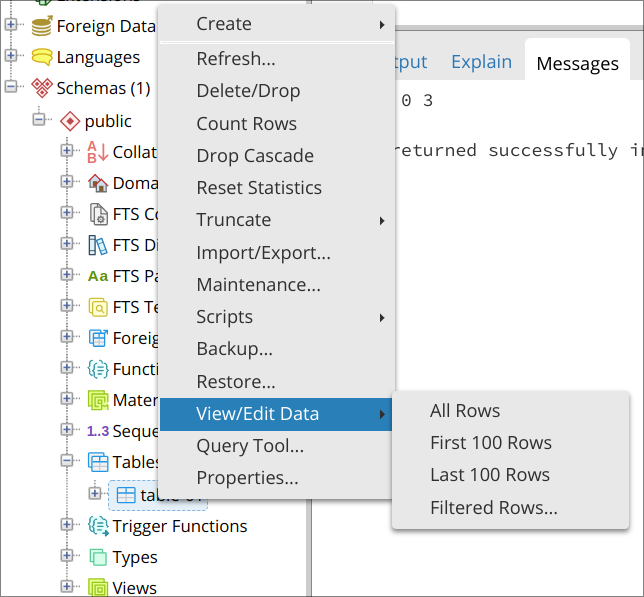 This will open up a Create-Table window. Under the General tab of this window, enter a name for the table. This can be anything you'd like, but to keep things simple we'll refer to it as table-01. Then navigate to the Columns tab and click the + sign in the upper right corner of the window to add some columns. When adding a column, you're required to give it a Name and a Data type, and you may need to choose a Length if it's required by the data type you've selected. Additionally, the official PostgreSQL documentation states that adding a primary key to a table is usually best practice. A primary key is a constraint that indicates a specific column or set of columns that can be used as a special identifier for rows in the table. This isn't a requirement, but if you'd like to set one or more of your columns as the primary key, toggle the switch at the far right from No to Yes. Click the Save button to create the table. By this point, you've created a table and added a couple columns to it. However, the columns don't yet contain any data. 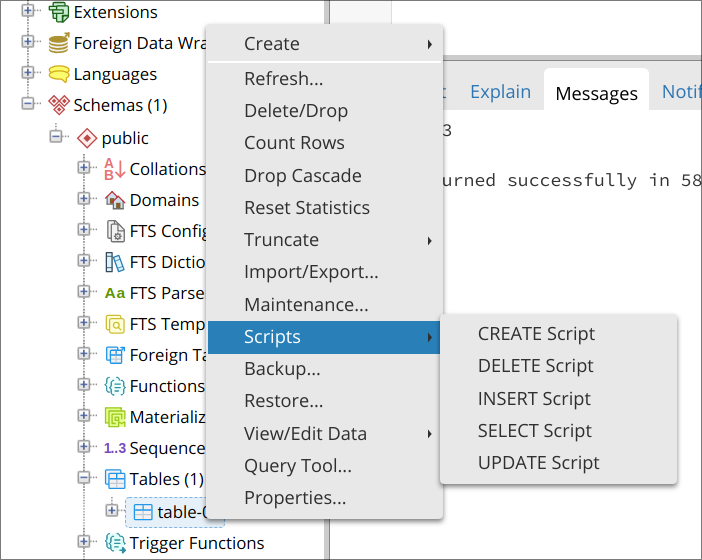 To add data to your new table, right-click the name of the table in the Browser menu, hover your cursor over Scripts and click on INSERT Script. This will open a new panel on the dashboard. At the top you'll see a partially-completed INSERT statement, with the appropriate table and column names. Go ahead and replace the question marks (?) with some dummy data, being sure that the data you add aligns with the data types you selected for each column. Note that you can also add multiple rows of data by adding each row in a new set of parentheses, with each set of parentheses separated by a comma as shown in the following example. Click on the lightning bolt icon (⚡) to execute the INSERT statement. To view the table and all the data within it, right-click the name of your table in the Browser menu once again, hover your cursor over View/Edit Data, and select All Rows. This will open another new panel, below which, in the lower panel's Data Output tab, you can view all the data held within that table. With that, you've successfully created a table and populated it with some data through the pgAdmin web interface. Of course, this is just one method you can use to create a table through pgAdmin. 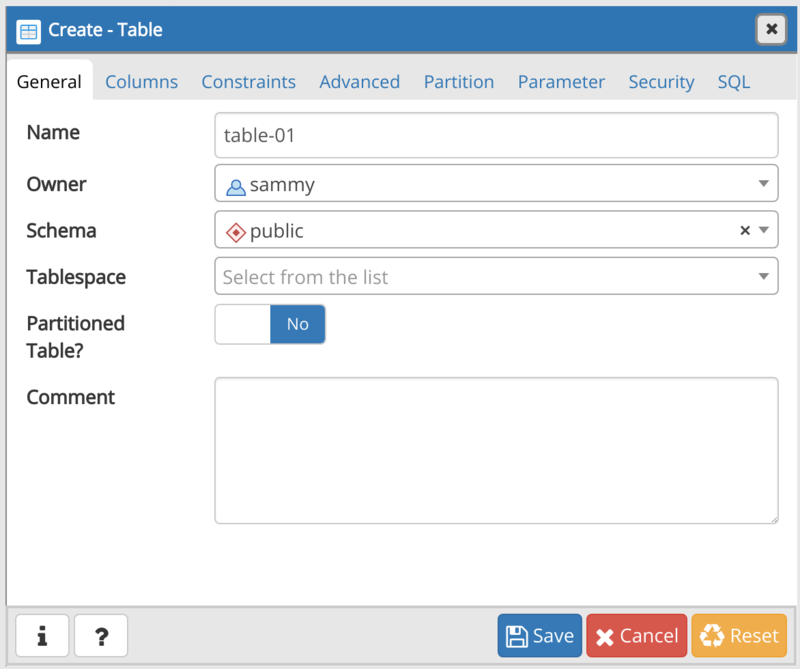 For example, it's possible to create and populate a table using SQL instead of the GUI-based method described in this step. In this guide, you learned how to install pgAdmin 4 from a Python virtual environment, configure it, serve it to the web with Apache, and how to connect it to a PostgreSQL database. Additionally, this guide went over one method that can be used to create and populate a table, but pgAdmin can be used for much more than just creating and editing tables. For more information on how to get the most out of all of pgAdmin's features, we encourage you to review the project's documentation. You can also learn more about PostgreSQL through our Community tutorials on the subject.